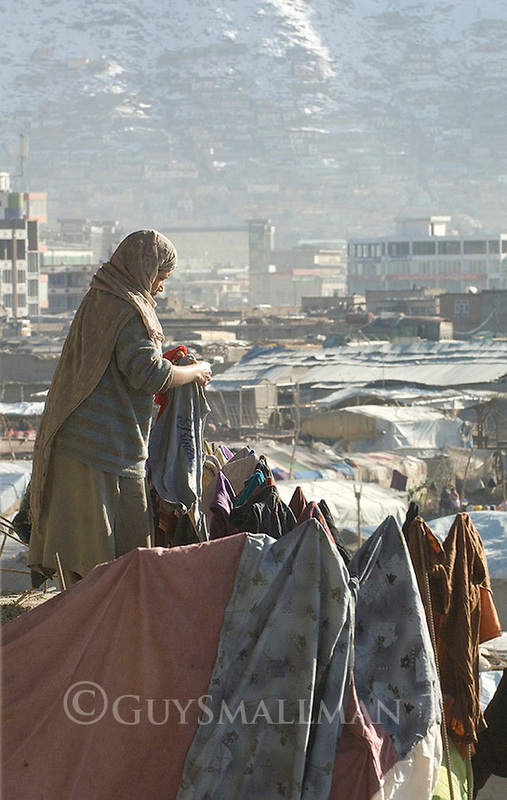 Refugee camp in district 2 of Kabul Afghanistan. The refugees were from Afghanistan and had fled to Pakistan during the Taleban government. They had arrived from Pakistan after the overthrow of the Taleban hoping for a better life. They were living in squalid conditions without any work and with little hope for the future.